Offering Price: What Is Based Upon? If you're offering a price based only on the other homes, you have toured, realize those homes carry no weight for an appraisal until they close. You should base your offer on the comparable sales nearby and not on what other sellers are asking for their homes. The Condition of Home: Ask about estimates for repairs and don't automatically assume all repairs will cost thousands of dollars. Don't automatically assume that you can deduct the cost of anticipated repairs from the sales price because the price might already be adjusted for that factor. Location of Home: the location has a huge bearing on the sales price, and you don't want to buy a home in a bad location because resale will be difficult. I asked the seller of a home that backs to the train tracks if the train bothered her. A little bit, she admitted, but when she bought the home, she was swept away by the granite counters and newness of the home that she didn't notice the train zooming by. With the advent of Zillow.com and other online information centers, a lot of the data you would like to know can be found on the web, but some of that information is incorrect. For example, a Zillow estimate can't accurately compute value on homes in neighborhoods where the size and configuration are nonconforming. But it can give you a general idea of value in the area. It's not a substitute for an agent CMA or an appraisal. Home buyers often compare prices of similar homes in the neighborhood before choosing a price, but the asking price may have very little to do with the actual value of the home or the price a buyer should offer. How Much Did the Seller Pay? While the seller's profit has nothing to do with the price of tea in China, it does help to know if values have gone up or down since the seller bought the home. If it's a foreclosure flipper, you might not be able to secure financing for 90 days. Don't focus on previous sales; use that information only as a guideline for your specific purpose. How Much Does the Seller Owe? If the seller owes more than the asking price, then you are looking at buying a short sale, or the seller will need to bring cash to closing. 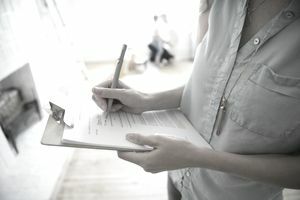 If a seller needs to write a check to close escrow, you will be very unlikely to get the seller to pay your closing costs or offer to pay for any repairs. It's better for you if the seller has a lot of equity. How Much Have Similar Homes Sold for in the Neighborhood? It is your best indicator of value because your bank's appraiser will rely on those comparable sales to compute the value. Your agent can obtain a list of recently sold properties for you. How Many Offers Has the Seller Received? Some homes generate multiple offers. In that event, your offer will need to be very strong to survive the competition. Don't back away from a multiple offer situation as often the last offer submitted is the winning offer. How Long Has the Home Been on the Market? You might be able to negotiate a discount on the price if the home has been on the market for 90 days or longer. All of this depends on the local real estate, however, and days on the market in, say, a rural area, could quite likely be 360 or more. Ready to buy a home? Check out the best mortgage lenders for 2019. If you know in advance that the home has structural issues or deferred maintenance, you might want to take those problems into consideration before choosing an offering price. How Old Is the Roof? Newer roofs have a life expectancy of anywhere from 15 to 50 years or more, depending on its materials. Not only do you care about maintaining the roof, your lender might require repairs prior to closing, and who will pay for that? What Is the Type of Foundation? Raised foundations allow access under the home to reach plumbing and electrical, as do homes with basements. Slab foundations are more common in newer construction. You might ask what existed in that area before the new homes were built. In other words, did the builders put up a new subdivision over a wetland area that is now likely to have issues with drainage or dampness? Does the Home Have Insulation in the Walls and Attic? In colder climates, insulation is more important, and each locale sets standards for the R factor. Insulating a home after you buy it will cut down on your utility bills, but it doesn't increase your market value much. Have Any Appliances or Systems Been Replaced And, If So, When? It's a plus factor if older plumbing and electrical have been updated. Moreover, some older appliances can't be repaired because parts are no longer available. Look beyond whether the appliances are the newest trendy color and make sure they work as intended. In real estate, one routinely hears it's all about location, location, location. Homes in desirable areas are worth more than similar homes in locations not so desirable. What Types of Other Properties Are Located Nearby? A home I showed in Folsom, CA, for example, had a cement wall over the fence. Behind it was a towing company and plumbing company. Apartment buildings, commercial and industrial lower the value of residential around them. Remember, if the home is "cheap" now, it will probably be the cheapest home when it comes time to resell. What Are the Neighborhood Demographics? Some title companies can supply this information, but your best bet is to talk to the neighbors, followed by asking the agent about the area and doing research at the library. Where Are the Schools? Schools are a huge concern for parents with small children. In California, even if you buy a home within the boundaries of certain school districts, there is no guarantee your children will get into that school. Are There Nuisance Factors? Traffic from nearby restaurants or stores may be an irritant. With freeways in the distance, you might not hear the noise during the day, but as night falls, the clatter and constant hum may get louder. Even barking dogs can drive a person nuts. Remember, real estate markets are subject to swings. It can be a seller's market, a buyer's market or a neutral market. If your market is on fire and smokin' hot, you might not have enough time to ask any questions before that home is sold to somebody else. Ask your agent to give you professional insights into the type of market.